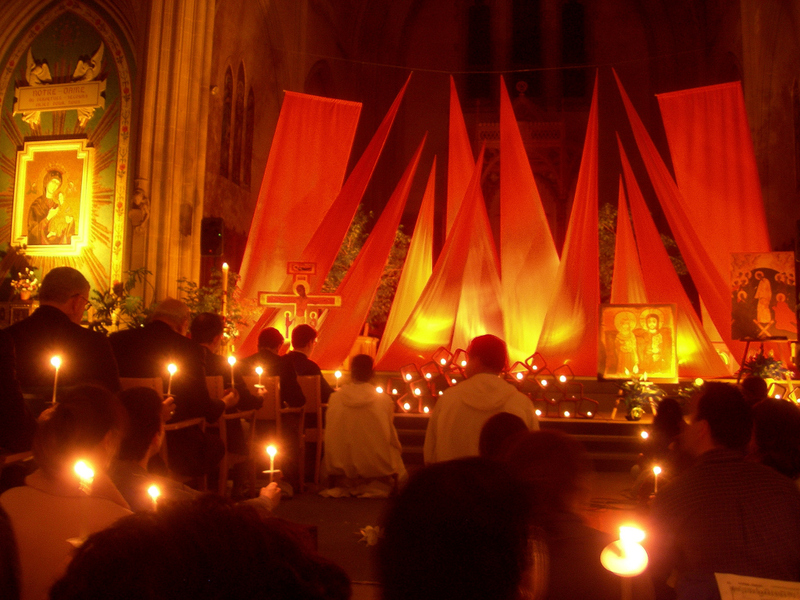 Originating in a community of Catholic and Protestant brothers in Taizé, France, this form of prayer is most notable for its meditative chanting. “Short songs, repeated again and again, give it a meditative character. Using just a few words they express a basic reality of faith, quickly grasped by the mind. As the words are sung over many times, this reality gradually penetrates the whole being. Meditative singing thus becomes a way of listening to God. It allows everyone to take part in a time of prayer together and to remain together in attentive waiting on God, without having to fix the length of time too exactly" (Taizé Community). The services are generally conducted in the evening in the glow of candlelight, allowing all to rest in the Lord as the day draws to a close. Consider joining us for our next event as we pray, chant, reflect, and open our inner selves to God through sacred silence. Click here for info on our next event coming up on March 14, 2019.